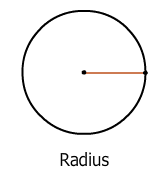 What did you think of Parts of a Circle ? 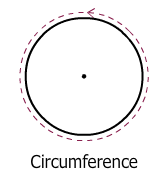 A circle is a closed curve that is made of points that are the same distance from the center. 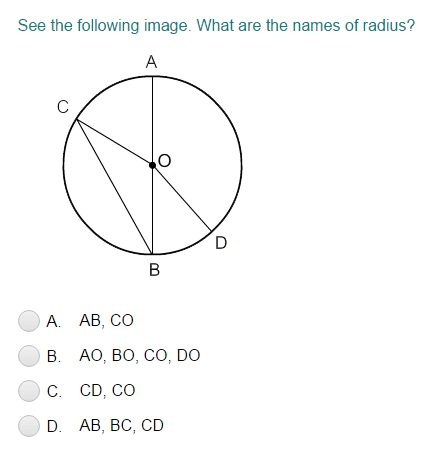 A radius of a circle is a line segment that connects the center to a point on the circle. 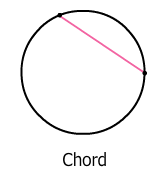 A chord is a line segment that connects two points on the circle. 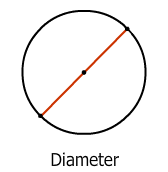 A diameter of a circle is a line segment that passes through the centre of the circle, connecting two points on the circle. 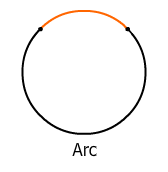 An arc is a curved part of the circle.